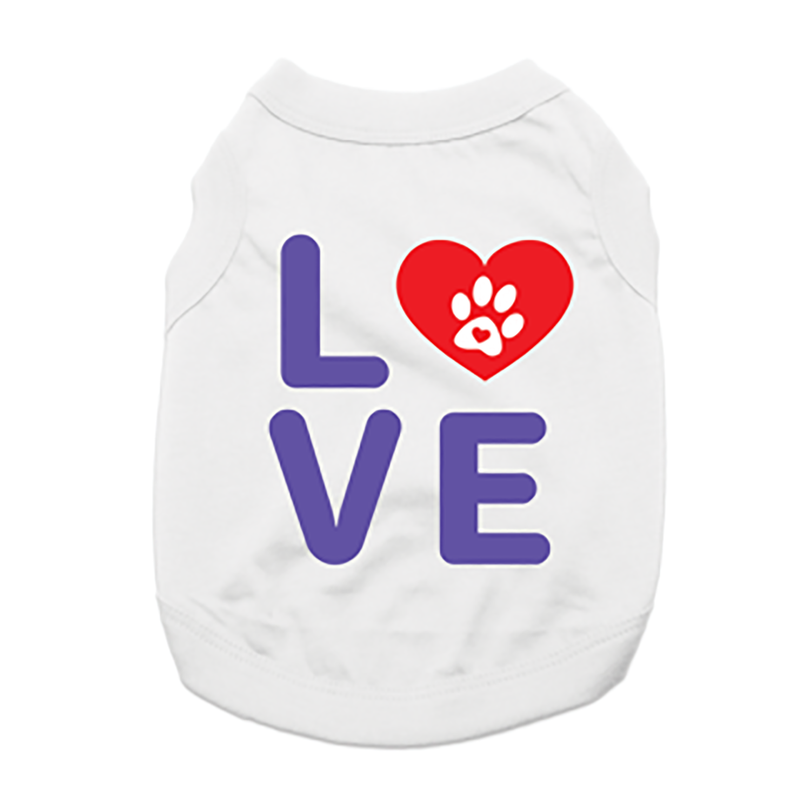 Love is a 4-legged word, and this Love Dog Shirt with a Paw Heart expresses that beautifully! 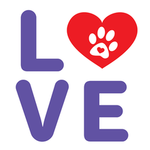 The Love Dog Shirt shows off your mutual affection with your dog with the cute heart and paw design. This dog tank top features a sleeveless style with a high-cut, stay-dry belly for the ultimate comfort and convenience. This exclusive design is printed right here in our BaxterBoo.com T-shirt Shop for your dog and is available in a wide range of sizes to outfit the whole pack! The 100% cotton is breathable and comfortable. Machine wash cold and dry flat for best results. Great for a Valentine's Day gift and every day! 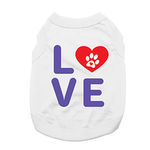 Love Dog Shirt with Paw Heart - White Customer Photos - Send us your photo! Cute, well made and comes in bigger sizes. Love it! Posted On 02/28/18 by Jennifer S from Morristown, TN Yes, Jennifer S recommends this product! I have been so excited about the selection of extraordinary items for my new puppy, SPIRIT. I will continue to shop exclusively with BaxterBoo in order to completely spoil my miniature American Eskimo for years to come. Thank you so much for meeting our needs.